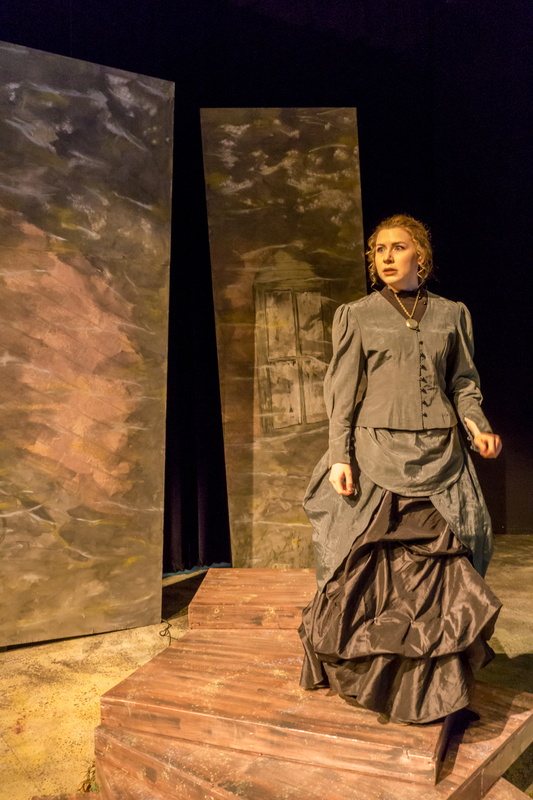 Laura Michele Erle (Governess, Turn of the Screw) is a graduate from Hofstra University with a B.F.A. in Performance and minors in Musical Theatre and English. She is thrilled to be returning to Lost Nation Theater after playing Olivia in their production of Twelfth Night, directed by Northern Stage's Amanda Rafuse. Her first show at LNT was Kate Hamill's adaptation of Sense & Sensibility, where she played Fanny Dashwood/Lucy Steele and served as Dance Captain. Past classical credits include: Romeo and Juliet (Juliet), The Cherry Orchard (Varya) and As You Like It (Silvius). Post-graduation, she performed in eight musicals at Mac-Haydn Theater in Chatham, NY, including Saturday Night Fever (Pauline), Anything Goes! (Virtue, Uds. Hope), Sweeney Todd (Ensemble) and The Trials of Alice in Wonderland (Alice). Other musical roles include Bat Boy: the Musical (Shelley Parker), Hello, Dolly! (Minnie Fay), and Seven Brides for Seven Brothers (Liza) at Pines Dinner Theater. A Manhattan-based actress, she has participated in numerous new plays and readings at Columbia University, Ensemble Studio Theatre (Young Blood Brunch), and Axis Theatre Company, as well as a concert of new songs at the Laurie Beechman Theatre. Laura's next project is performing as Kasey in the premiere of a new musical called With or Without You, playing at Theater Row in NYC at the end of this month. Laura works for two hospitals in the city as a Standardized Patient, simulating patient encounters with medical students to help them practice interviewing, diagnosing and delivering medical news. Love and thanks to God, her family, and Andrew. A special shout out to Chris for being such a delightful stage partner and to Kathleen and Kim for inviting her back! She would like to dedicate her performance to Nancy Sherman.